TS Vidya Volunteers Recruitment 2018 Notification/ TS VVs Online application form 2018 Telangana 16781 Vidya Volunteers Recruitment 2018 Telangana VVs Online application form 2018 TS VVs Merit lists/ Selection Lists, TS GO 86 -16781 Vidya Volunteers Recruitment Notification 2018 in Telangana, District wise VVs recruitment Online application form @ ssa.telangana.gov.in. TS Vidya Volunteers Educational Qualifications, Post wise weightage and Online Application, Certificates to be enclosed list. Telangana School Education Engaging the services of 16781 Vidya Volunteers through School Management Committees (SMCs) with an Honorarium of Rs.12000/- per month in the Academic Year 2018-19 - Permission Accorded – Orders – Issued. DSE, Telangana, Hyderabad to engage the services of 16781 Vidya Volunteers with an Honorarium of Rs.12000/-(Rupees Twelve Thousand only) per month in the Academic Year 2018-19.
iii. Oriental Title/ Bhasha Praveena/ Vidhwan in the Language or B.Ed., in the relevant methodology. B.Ed. with relevant methodology. concerned or its equivalent with Pandit Training/B.Ed in the relevant methodology. b) Candidates from adjacent village in the same Mandal shall be given 2 nd preference. TS Vidya Volunteers Recruitment 2018 Notification TS VVs Online application form @ ssa.telangana.gov.in. 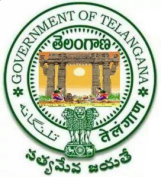 Telangana VVs District wise Vacancies, TS VVs Recruitment Schedule, TS VVs Merit List, TS VVs Selection List, TS VVs Results and More Details here.